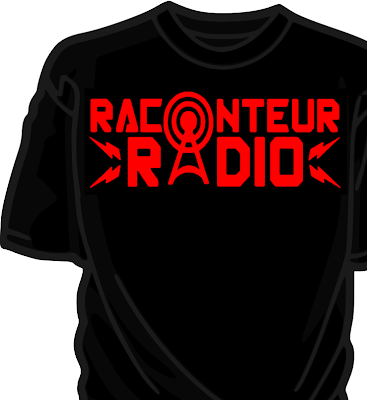 Raconteur Radio T-shirts $15.00. All sizes. Standard and fitted. 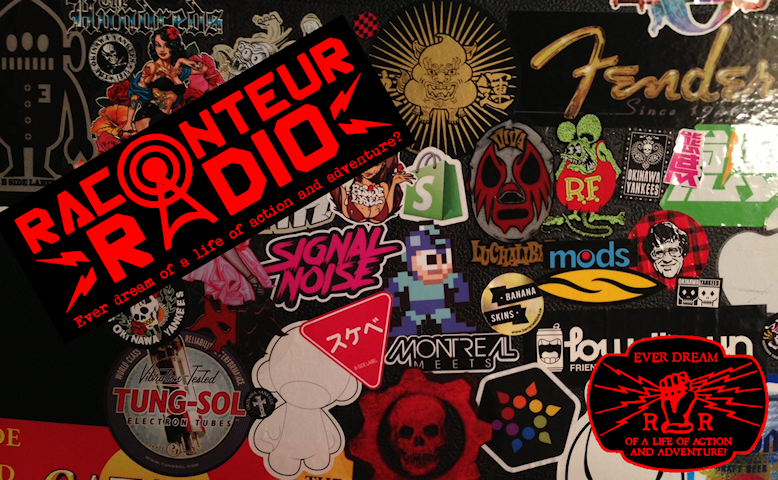 Stickers! Free at most shows! Ever Dream? 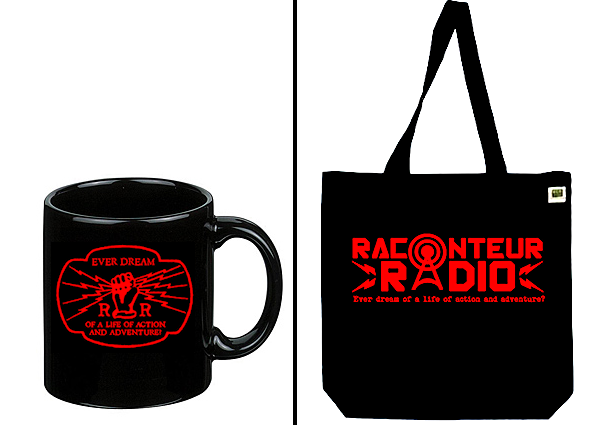 RR mugs $10. Rac Sack Totes $15. All products come in one color, "Lights Out" black with the striking RR logos emblazoned in "On Air" red. To order contact raconteurbooks@gmail.com.